The <legend> tag is used to define as a caption for the <fieldset> tag. Both the <legend> tag can be used in conjunction with <fieldset>, <details> and <figure> tag. The <legend> tag supports the Global Attributes and Event Attribute. HTML5 does not supports align attribute. 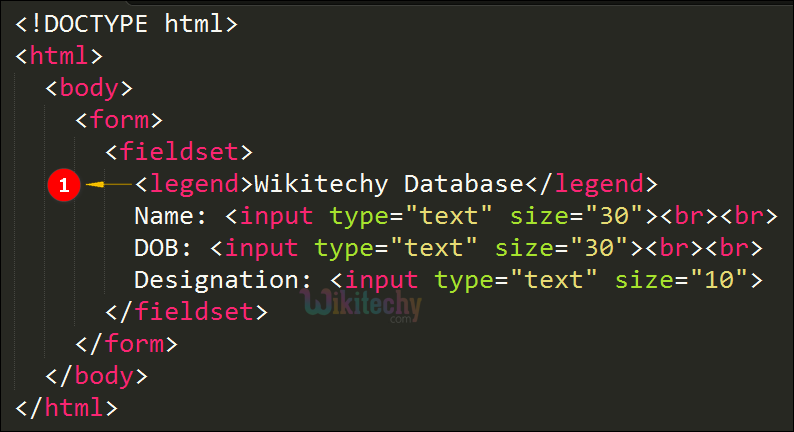 The <legend> tag is used to define a caption for the <fieldset> tag within the <form> tag to form the design for Personal details. Output displays the Wikitechy Database form details with the caption. right Yes No It is used to specify the alignment of the captions.